This course takes you to the heart of the 'why' and 'how' of natural history and provides a platform for you to continue to study, understand and appreciate everything from garden birds and their behaviour, plants and the ecology of their pollinators, fungi and their pivotal role in the functioning of the ecosystem, to leaves and their industrious manufacture of the stuff that makes the world go round. There is a beauty, not only in recognising the living components of our natural world, but also in understanding the physical and chemical processes which underpin life and the evolutionary thread that binds all of its parts in time and space. This course assumes little or no prior knowledge of natural history/ ecology. It examines the structure and function of some familiar wildlife, with emphasis on birds, butterflies and moths, flowering plants, mosses, ferns and fungi, and explains its evolutionary significance. For example, how and why do plants demonstrate such a wide variety of flowers and what is the evolutionary origin of such attractive structures? To answer these questions we shall take a close and incisive scientific look at wild and garden flowers, comparing their structures, understanding their functioning and their pollinators from butterflies, to moths and bees and other insects, or simply the wind. During this investigation you will learn to recognise different plant families and species and their regional and ecological importance. Plants underpin all conservation efforts so understanding their ecology is vital. What are the differences between moths and butterflies? We will catch moths using a light trap and examine the contents each morning and make a direct comparison with butterflies seen during daylight hours. Why do moths far outnumber butterflies in species variety? Why do creatures of the night need such varied and complex patterning? What can butterflies and moths tell us about climate change? Bird song is all around us if we take the time to listen but what exactly does it signify and how complicated is its production and content? We will identify birds by their song in the field and relate it to the overall behaviour of each species to reveal the complex nature of bird breeding strategies and ecological tolerances. We'll learn how to use bird song to record and monitor bird populations over time and space. How does a wood work? Starting with the soil and its contents especially the fungi we will probe the platform that sustains the biomass of trees and analyse the competition for basic resources such as light and water and nutrients that determine the composition and physiognomy of a woodland ecosystem. And finally how does looking at the night sky help us understand our own planet? Weather permitting we'll have a star party, identify some celestial bodies and discuss our place in time and space. Gentle, thoughtful, field work is at the core of this course. Using all senses, participants will learn to see the workings of wildlife from a scientific point of view and in so doing assume a far greater appreciation of its true beauty. Weather proof clothing, boots and/or wellingtons, a pair of binoculars, hand lens and a notebook are the only requirements. Begon, M., Harper, J.L., and Townsend, C.R. (1990) Ecology: Individuals, Populations and Communities. Blackwell Scientific Publications. Cox, B. and Cohen, A. (2011) Wonders of the Universe. Harper Collins. Cox, B. and Cohen, A. (2013) Wonders of Life. Harper Collins. Chinery, M. (1986) Collins Guide to the Insects of Britain and Western Europe. Collins. Cocker, M. (2014) Claxton:Field Notes from a Small Planet. Jonathan Cape. Hutchinson, G.E. (1965) The Ecological Theater and the Evolutionary Play. Yale University Press. Marren, P. (2012) Mushrooms. British Wildlife Publishing. Peterken, G. (2013) Meadows. British Wildlife Publishing. Porley, R. and Hodgetts, N. (2005) Mosses and Liverworts. Harper Collins. Proctor, M. (2013) Vegetation of the British Isles. Harper Collins. Spooner, B. and Roberts, P. (2005) Fungi. Harper Collins. Streeter, D. et al. (2016) Collins Wildflower Guide 2nd edition. William Collins. Svensson, L. et al. (2009) Collins Bird Guide 2nd edition. Harper Collins. Thomas, J.A. and Lewington, R. (2010) Butterflies of Britain and Ireland. British Wildlife Publishing. Waring, P. and Townsend, M. (2006) Field Guide to the Moths of Great Britain and Ireland. British Wildlife Publishing. Young, M. (1997) The Natural History of Moths. Poyser Natural History. 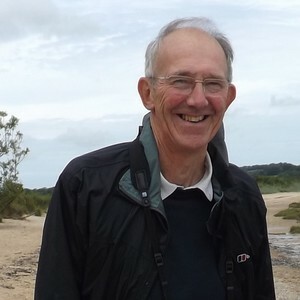 Nigel Brown was a university lecturer (School of Biological Sciences,Bangor Uni) for 40 yrs, recently retired, and Curator of the University Botanic Garden during that time. He has a life-long interest in natural history and lives on Anglesey.